It's a bird! It's a plane! It's the premiere episodes of The Adventures of Superman! Debuting on March 12, 1940, the exciting radio serial was an instant hit. Starring Clayton "Bud" Collyer in the dual roles of Superman and Clark Kent, this initial nine-episode sequence tells the story of the destruction of Krypton and the Man of Steel's arrival on Earth. Loved it, but too short! Legions of fans from Boston to Buenos Aires can recite the story of the child born Kal-El, scion of the doomed planet Krypton, who was rocketed to Earth as an infant, raised by humble Kansas farmers, and rechristened Clark Kent. Known to law-abiders and evildoers alike as Superman, he was destined to become the invincible champion of all that is good and just - and a star in every medium from comic books and comic strips to radio, TV, and film. But behind the high-flying legend lies a true-to-life saga every bit as compelling, one that begins not in the far reaches of outer space but in the middle of America’s heartland. During the depths of the Great Depression, Jerry Siegel was a shy, awkward teenager in Cleveland. Raised on adventure tales and robbed of his father at a young age, Jerry dreamed of a hero for a boy and a world that desperately needed one. Together with neighborhood chum and kindred spirit Joe Shuster, young Siegel conjured a human-sized god who was everything his creators yearned to be: handsome, stalwart, and brave, able to protect the innocent, punish the wicked, save the day, and win the girl. It was on Superman’s muscle-bound back that the comic book and the very idea of the superhero took flight. Tye chronicles the adventures of the men and women who kept Siegel and Shuster’s "Man of Tomorrow" aloft and vitally alive through seven decades and counting. Here are the savvy publishers and visionary writers and artists of comics’ Golden Age who ushered the red-and-blue-clad titan through changing eras and evolving incarnations; and the actors - including George Reeves and Christopher Reeve - who brought the Man of Steel to life on screen, only to succumb themselves to all-too-human tragedy in the mortal world. 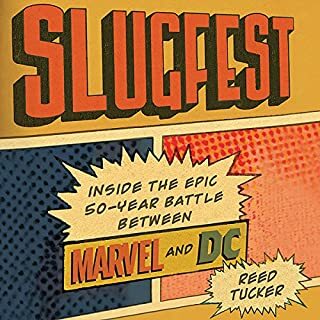 Here too is the poignant and compelling history of Siegel and Shuster’s lifelong struggle for the recognition and rewards rightly due to the architects of a genuine cultural phenomenon. 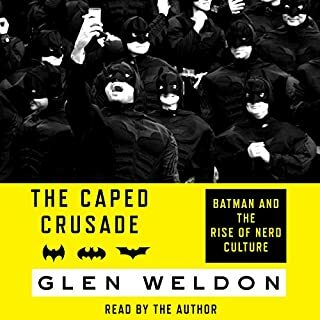 From two-fisted crimebuster to über-patriot, social crusader to spiritual savior, Superman - perhaps like no other mythical character before or since - has evolved in a way that offers a Rorschach test of his times and our aspirations. In this deftly realized appreciation, Larry Tye reveals a portrait of America over 70 years through the lens of that otherworldly hero who continues to embody our best selves. Superman appeared in 1938, several years into the Great Depression. Franklin D. Roosevelt was in office. He was crippled with polio, and yet he didn't let something like an unending economic catastrophe quell his can-do attitude. Superman was the optimistic superhero the nation needed. Jerry Siegel and Joe Shuster's creation heralded an age of superheroes, which would gain steam with the introduction of Batman in 1939 and Wonder Woman in 1941. Like FDR, Superman was the optimistic Man of Steel. He was clean-cut Clark Kent from Kansas, if you ignored his secret Kryptonian origins. He was a great guy who knew how to collar a criminal and never thought it beneath him to help a little girl get her cat out of a tree. 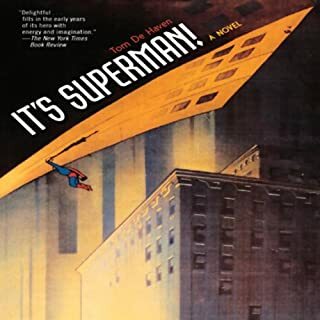 Author Larry Tye examines the Superman story from its origins in Cleveland with two Jewish kids obsessed with pulp magazines and science fiction. The Siegel and Shuster story is told chronologically. So it begins at the beginning then fades out temporarilly while Tye deals with the founding of DC Comics (National) and introduces other characters and generations of fans. But the story inevitably returns to Siegel and Shuster. After all, they invented one of the most profitable comics franchises in history--and made next to squat. Shuster died penniless. In fact, he owed $20,000. But there are other stories to be told. 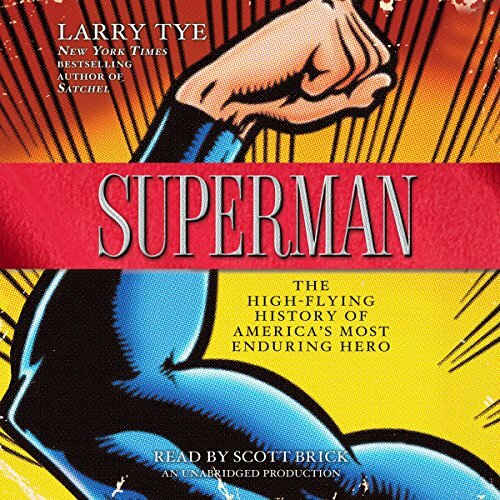 Tye fills in the history of the old Superman radio dramas, the Fleischer cartoons, the first TV show and the later one starring George Reeves, whose death remains a mystery. Many readers will enjoy the chapters devoted to the 1978 film Superman and its sequels. Christopher Reeve became for many the embodiment of the Man of Steel. It's interesting to hear how the actor came up with his dual characterization of Clark Kent and Superman. His Kent influence was the bumbling Cary Grant of Bringing Up Baby. Some critics have said we're too cynical for Superman nowadays. We want our heroes anti. This book makes me hope that's not true. Scott Bricks puts in another solid performance as narrator. 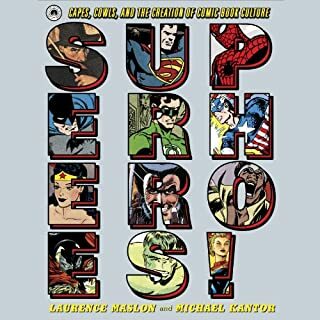 Larry Tye provides insight into not only the original creators of Superman but nearly all the major influences that have defined (or in some cases attempted to re-define) Superman. While Siegel and Shuster are featured prominently throughout the book, he looks at other comic, TV, newspaper comic, and movie writers, directors, producers, and actors who have helped to create the Superman mythos. It is a great listen. Scott does a fine job, though admittedly this is not as difficult as an audiobook where multiple characters have to be distinguished audibly. He's clear and engaging. If he's not a fan of the subject matter, he does a good job of sounding as if he is. The book does not present a one-sided view of the struggles of the Siegel and Shuster with DC comics over Superman. It fairly evenly presents the history, but is more concerned about the endurance of the character as a cultural icon. It posits some theories about why Superman is so loved, but never descends into a psychological study. It is primarily history, told from the view of someone enamored with his subject. 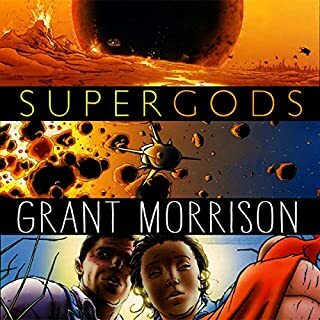 Recommended listening for old and new fans of Superman. Excellent history of the Superman character. I've been a Superman fan since I was a kid in the seventies, and this book not only brought back a lot of memories, but filled in a lot of gaps in my knowledge. Nye's history hits every era of Superman with detail and love from Action Comics # 1 to the Man of Steel due in theaters in the summer of 2013. Scott Brick, Super Narrator, does a fine job as always. This is a very thorough and insightful look into Superman's history - not just in the comics but in film, radio, tv, as well as the many creators who have helped shaped Superman along the way. I have been a fan of Superman for as long as I can remember. I grew up watching Smallville I watch the Superman Adventures of the cartoon shows I've seen every single Superman movie. I love Superman and this book does Justice for not only the name but for the brand, for the Legacy, for the legend that is Superman this book was great. 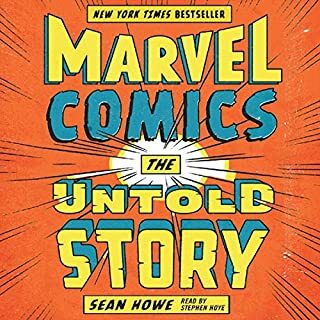 There was just so much more that went to the development of the man of steel that we know today and this book gives you the entire synapses from first day to everything that happened up to 2012. But it left me amazed by realizing how biblical a character can be in the lives of those involved in maintaining its life. And how life inspiring it can be to all of us fans. Fantastic book with a wonderful narrator! Fabulous book with a great narrator. I will listen again and again. Up, up, and away! Amazing! That's about all I can say without taking away from this awe aspiring tale.